It was a busy sports week with NHL and NBA playoff first round action and Major League Baseball hitting its regular season stride. It's baseball we turn to, because we've already had a pitcher do what nobody else has done this year. Even though he did it last year. And will probably do it again this year because he's that good. 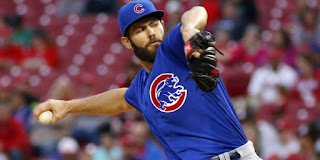 Chicago Cubs ace and reigning National League Cy Young Award winner Jake Arrieta pitched a brilliant nine inning shutout against the Cincinnati Reds allowing no hits. In the business, that's called a no-hitter. 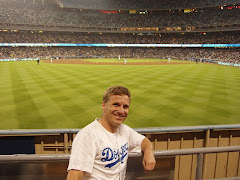 He did the same last year against the Dodgers (only 13 teams left in the NL he hasn't no hit. In three of his four trips to the hill this year, he's allowed no runs. He hasn't lost a game since July 25, 2015, and hasn't allowed more than 3 runs in a game since June 16 of last year. Model of consistency, and a well deserved second nod as Sportsman of the Week!